Out on the road today/I saw a Deadhead sticker on a Cadillac/A little voice inside my head/Said ‘don’t look back, you can never look back.’ — Don Henley, “Boys of Summer”. When Henley wrote “The Boys of Summer’ in 1984, he saw the sticker on luxurious Detroit steel as a contradiction of values: a symbolic matter/antimatter collision that obliterated the meaning of both. But Henley didn’t realize that his symbol of a Dead past was in reality a very powerful symbol of the present and future. The Vietnam War was the perfect polarizer between youth and adult culture: it had no clear objective, it was far away, it cost many lives, and it was involuntary — the old made the decisions, the young died. After the war was mercifully killed in the mid-'70s, the nation came to realize that it had hated the internal confusion more than it had hated the external enemy — blood is thicker than ideology. As a result, both sides of the internal conflict embraced the perceived highlights of the other’s culture: adults lightened up — Johnny Carson grew his hair long and joked with the band about smoking pot — and the youth embraced the acquisitive materialism of their parents with the shamelessness of Midas. 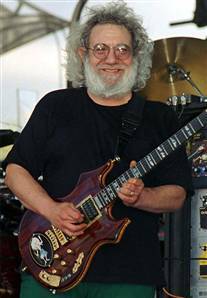 The Dead became the symbol of this blending of ideologies until Jerry Garcia’s death in 1995: a well-oiled money making machine ($50 million a year in concert revenue) that sold peace, love and understanding to a legion of internally divided admirers. The Dead sold out every show because a Dead show was a socially acceptable place to temporarily take a break from the rat race and try on '60s hippie values without having to live them. People who didn’t do drugs any other time indulged and danced around like pixies to the Dead and their light, rhythmic, pleasant, sometimes inspired, extended musical journeys. “Grateful Dead” (1971) is my favorite live set by the band — it rolls along with “Bertha,” “Mama Tried,” “Playing in the Band,” “Johnny B. Goode,” “Not Fade Away” and “Goin’ Down the Road Feeling Bad,” showing great energy and versatility. The Dead’s success inspired the entire jam band movement, which carries on its musical and cultural lineage to this day.